Regarding the process of benchmarking executive compensation, the SEC has detailed requirements for companies to disclose their peer group companies with appropriate justification. Peer group analysis has become a key step to ensure competitive pay practice. However, selecting which companies to consider as “peers” can be a difficult process for many, especially for companies that have a foot in multiple industries. This process also gives valuable insight to shareholders about the industry landscape in which the company frames its compensation decisions. Peer group construction criteria is, for the most part, at the company’s discretion, yet peer group selection disclosure has become more scrutinized in order to avoid peer group manipulation. Such manipulation occurs when higher-paying and larger companies are selected to justify executive pay. 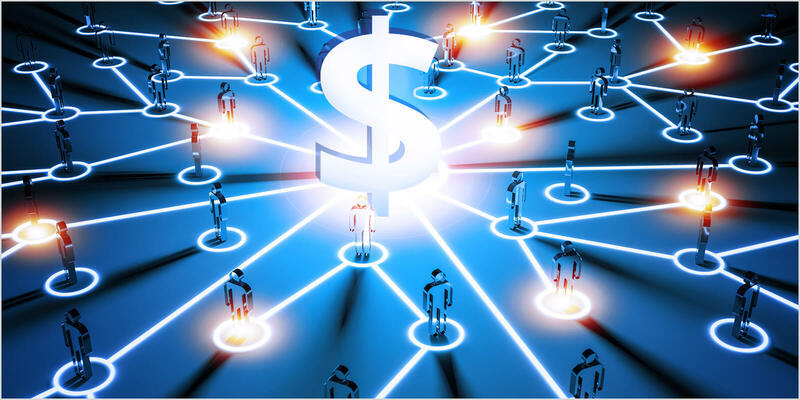 The following investigation into current trends in peer group disclosure among the Equilar 500 companies may shed light on what is deemed effective in constructing peer groups. Of the Equilar 500 companies, only 5.4% have not disclosed their peer group for executive pay in fiscal 2017. The SEC requires disclosing criteria for considering a company as a peer, with quantification if possible. A majority of companies with a peer group, 70.6%, disclosed three to six different criteria, although the number of criteria ranges from one measurement to ten. In selecting which criteria to include in constructing a peer group, companies tend to stick to a few common criteria. 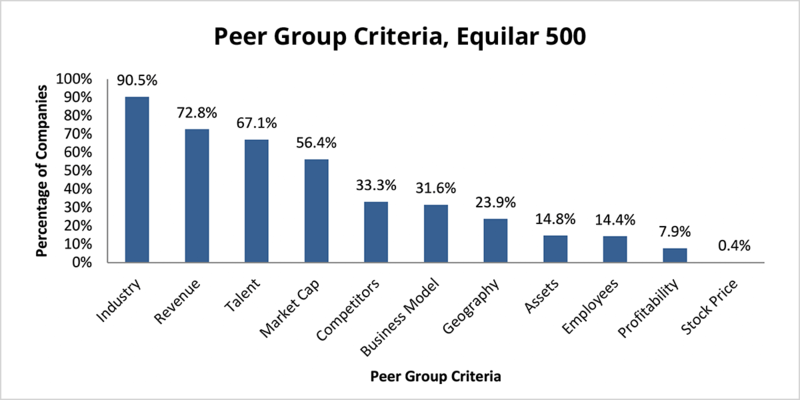 Over 50% of the Equilar 500 companies use industry, revenue, talent and/or market cap as selection criteria. Additionally, more than 90% companies first limit peer groups by industry. An industry downturn tends to affect all companies since operations and cost structures are similar; companies can therefore conveniently compare performance and pay within the same industry and time period. Investors may look into how the company defines its industry to create compatible peer groups. Other metrics like revenue and market cap further restrict the peer group to those of similar size and market power. Talent as a metric represents the market from which the company recruits executive talent; peer companies that contain or need similar executive talents can be reasonable benchmarks for executive compensation. The breakdown of peer group criteria across sector further demonstrates how industry defines a typical set of criteria. The following table shows the top four criteria that over 50% of companies in respective sectors have included for peer group selection. Each sector also weighs each peer group factor differently. For example, half of the companies in the financial sector evaluate peers based on whether they are close competitors, while in the healthcare sector, this criteria was not as prevalent; only 30.8% use competitors as criteria. Healthcare companies commonly use market cap—86.5%—and revenue—65.4%—to search peers closer in size, while the financial sector considers market cap and revenue cap less frequently at 46% and 52.9%, respectively. 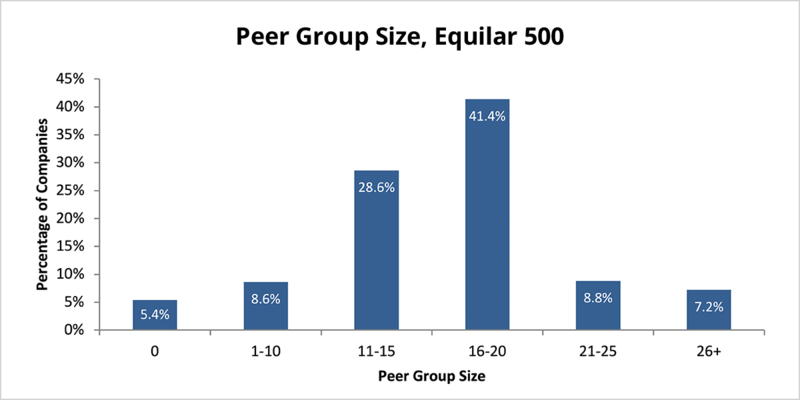 Among Equilar 500 companies, peer groups vary dramatically in size. Those that disclosed peers have as low as two peers—American Airlines—and as high as 138 peers—Sempra Energy. Most companies, however, fall within a common range—70% of Equilar 500 companies disclose 11 to 20 peers. Peer group size is calculated as a total of all peers disclosed for each company, although they may be grouped for different purposes, such as benchmarking across industry and specific business types. The count of peers for Equilar 500 companies includes all unique and current companies in any peer group disclosed in proxies. Besides good pay practices like pay for performance, benchmarking with the appropriate peer group is highly valued by institutional investors and general shareholders. 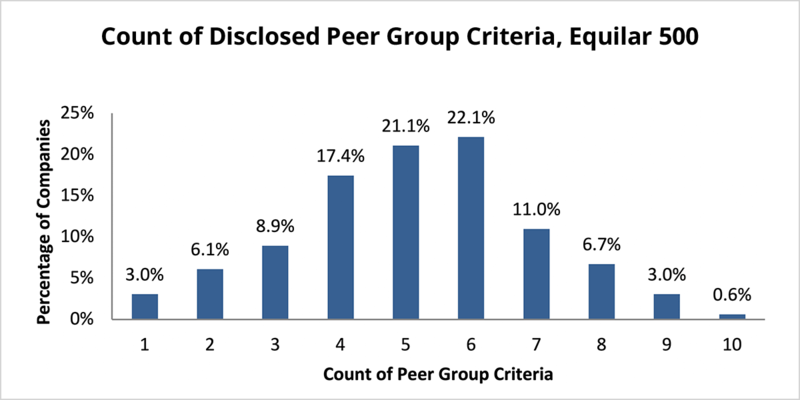 Interestingly, companies with more disclosed peer group criteria correlates with higher Say on Pay approval rates. Companies that disclose only one to three criteria to determine peer groups received on average 89.4% approval for their most recent Say on Pay proposals. Approval rates rise to 90.9% for companies with more than four criteria disclosed. The process of implementing and executing a reasonable executive compensation plan may vary greatly from company to company. However, the Say on Pay votes suggest a need for a more transparent and informed peer group selection process. Shareholders value reasonable justification of executive pay, and benchmarking with peers is a critical step in doing so. A thorough peer group disclosure also speaks to more than providing the company’s compensation benchmark. As the investor public continues to focus executive pay, companies may turn the pressure into opportunity to improve communication with shareholders to find common ground on executive pay issues. 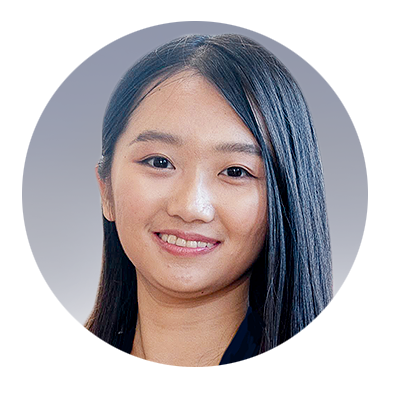 Louisa Lan, Research Analyst at Equilar, authored this post. 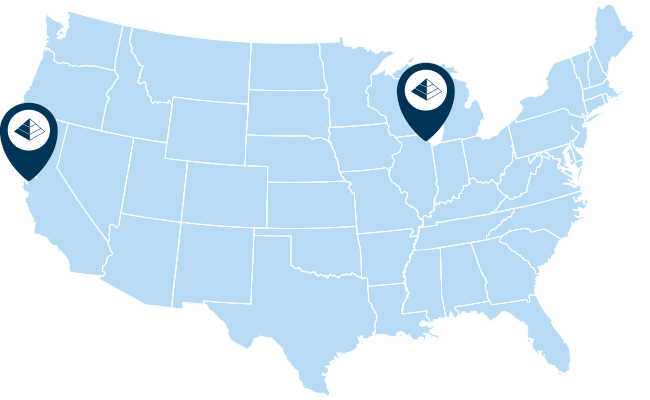 Please contact Amit Batish, Content Manager, at abatish@equilar.com for more information on Equilar research and data analysis.